When former DBHIDS team member, Brooke Feldman, passed the torch as lead captain of Team DBHIDS for PRO-ACT’s Recovery Walks! to Manager of Provider Development and Transformation Initiatives, Andrea Brooks in 2014, it signified the beginning of a partnership between two champions of recovery. The coordination of Team DBHIDS for Recovery Walks! is no easy feat and requires a leader who can make recovery not just part of the conversation, but the focus of conversation at DBHIDS. Brooke and Andrea share more in common than just their birthdays—they both proudly identify as transformation babies. They are each champions of recovery, albeit from different perspectives. After Brooke’s personal journey through Philadelphia’s behavioral health system, she recently celebrated ten marvelous years in long-term recovery. Recovery has afforded Brooke many things: the opportunity to be a productive and contributing member of her family and our community; to have a job utilizing her experience, strength and hope; to work toward finishing the college education that active addiction led her to walk away from; and most important to Brooke, the chance to live a life each and every day that is not led by obsession, compulsion, despair, hopelessness, darkness, but is instead led by joy, hope, fulfillment, growth, and dreams. The most amazing part of recovery, to Brooke, is that she now spends nearly all of her time helping others access and sustain long-term recovery. Recovery has empowered Brooke to turn her fate into destiny and to live up to some of the things that were buried deep within. Any human being still breathing has the chance to do the same. Brooke firmly believes that all individuals have the right and potential to find recovery. In the recovery community, the beauty and miracles of recovery are known. People in recovery, like Brooke, KNOW that recovery is possible, and that individuals and families struggling with a substance use disorder are not bad people, morally flawed or failures. It’s time to let the world-at-large know this as well. After working in the realm of provider agencies, Andrea is well aware that “celebrations are not billable.” Caught amidst the daily hustle of productivity, we write ourselves a non-refundable ticket for burn-out. No matter the role or function of our duties – from processing claims, developing treatment methods, ensuring quality services through audits, to providing clinical services – all of our hard work is done for a reason. That reason is recovery. Amidst our overflowing workloads, we need to set aside the time to see that all of our collective roles, functions, and efforts are successful. Recovery is alive and growing in Philadelphia. How do we see it, experience it, and celebrate it? Celebrating individuals who overcame the adversity of addiction to achieve recovery is rejuvenating and essential to both celebratee and celebrator—to Brooke and Andrea. The partnership between Brooke, an advocate in recovery, and Andrea, an advocate of recovery, signifies what is possible when we join together. 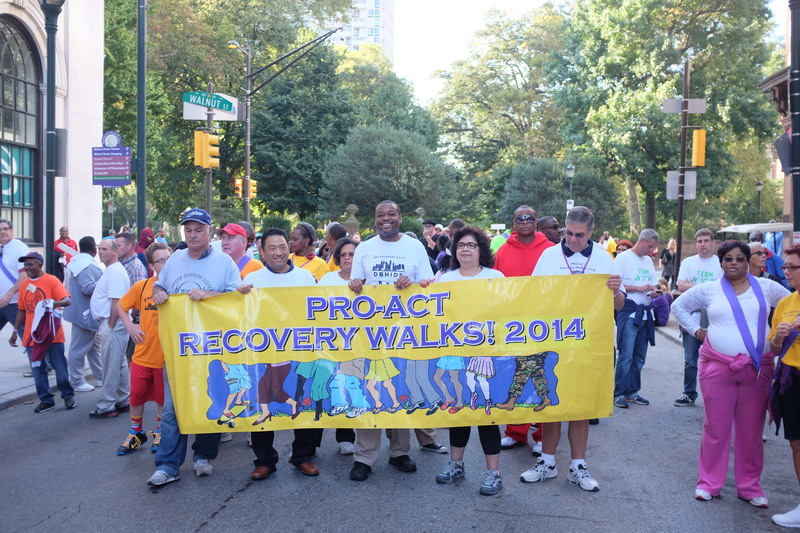 Brooke and Andrea will join together on September 19th at Recovery Walks! to celebrate recovery in Philadelphia and show the world what is possible. Why stop there? After we walk 1.75 miles in Philadelphia, let’s join together in solidarity and collective force in our nation’s capital for the UNITE to Face Addiction event on October 4th to impact not only public policy about addiction and recovery, but public perception. Together we can help the 22 million Americans with addiction, stand up for the 23 million more in recovery, and urgently act to save the 350 lives lost each day. Let’s join together, walk, and #UNITE. Alone we can do so little; together we can do so much. I leave you with this: What if the 23 million Americans living in long-term recovery from addiction challenges joined together with the millions of recovery allies and advocates? 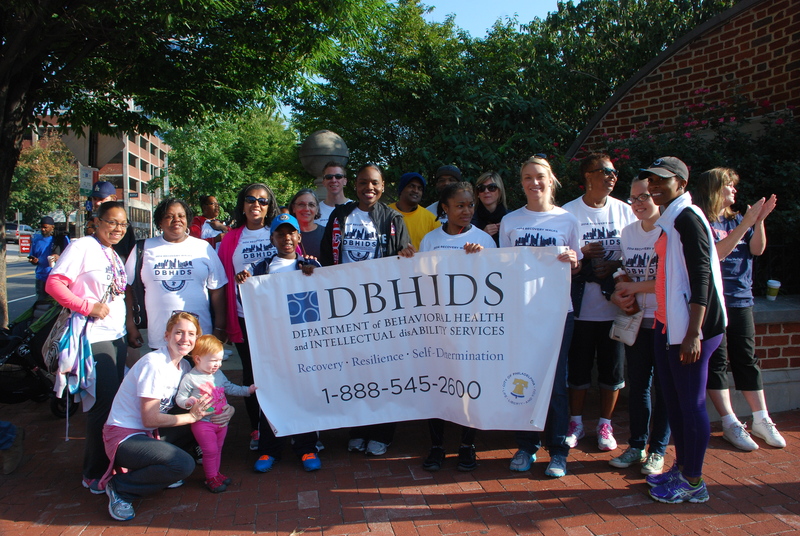 To join team DBHIDS click here. Previous PostWorry too much? Take charge.